This website is designed primarily to help independent travellers research and plan their own holidays in Italy. On the whole, you get the best deal if you plan your own holiday, booking your hotel and flights online. If you wish to leave the bother of organising to someone else, though, you could consider a package holiday, or an organised tour. Italy has not developed the mass all-inclusive package tourism typical of Spain and other Mediterranean countries. This means you won't find bargain basement high-rise seaside package holiday deals, but has had the enormous benefit of keeping Italy's coastline attractive, its resorts resolutely Italian, and its hotels frequently family-run. It is possible to find package beach holidays in Italy, but this is a relatively small branch of tourism in Italy. The areas with the highest concentration of 'static' package holidays are the Italian Lakes, Sorrento and beach resorts like Lido di Jesolo and Rimini. Other types of package holiday to Italy include city breaks - although these are easy to book yourself independently - and tours. Several tour companies offer good sightseeing tours of Italy, travelling around a particular area, or between major sights. Tours range from specialised organised visits to off-the-beaten-track sights, to coach tours taking in Italy's busiest cities. You can find cheap and cheerful touring holidays, and high-class luxury travel itineraries. The biggest advantage of taking an organised holiday is the simplicity. You can make one decision, one transaction, and have your entire holiday organised for you. If you want to visit out-of-the-way destinations, an escorted tour will save you the time you'd spend researching, booking and then dealing with a hire car or public transport - and you may have the benefit of a knowledgeable guide. Some firms also offer independent packages, where they make the bookings and issue you with tickets and instructions, and you do the driving yourself. As well as touring off-the-beaten-track places, a package holiday can also be helpful if you want to undertake any kind of 'specialised' activity. Much of Italy does not have public rights of way and signed footpaths, for example, so an organised walking holiday is a good and safe way to discover the countryside on foot, taking you through landscapes which might otherwise be tricky to navigate. There may also be financial and insurance advantages to booking a holiday through a travel firm. You can choose to pay in your own currency, discuss your trip with agents in your own country, and you may be better insured against currency fluctuations and unforeseen circumstances. It is very important to check the credentials and professional registrations of your selected tour company and find out what cover you will have if they run into financial difficulties, or if outside circumstances force the cancellation of your holiday. You will still need your own comprehensive travel insurance. It is a good idea to pay for your holiday by credit card if possible. This way you may find yourself better covered in the event of travel problems. However, some companies charge a premium for credit card payments. A wide range of packages including rail and coach tours, beach hotels and some interesting combinations. One of the principal mainstream holiday operators, with popular packages, mostly to beach and lake destinations. 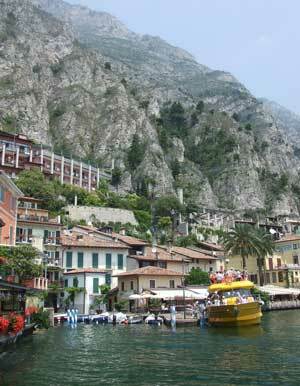 Another large firm offering package deals among Italy's lakes and mountains, and in popular seaside resorts. > Exodus - Walking holidays from tough hikes in the Dolomites to walking and wine appreciation in Tuscany. > Headwater - Walking and cycling holidays. > Long Travel - Southern Italy and Sicily specialists. > directline-skiing.co.uk - An online travel agency selling ski packages from many of the main holiday operators.